For the past few months I've been planning on doing an in depth series of posts/ a video on my current skincare favourites and routine but I thought this moisturiser deserved a post of it's own. NUXE has without a doubt been my favourite skincare brand of the past year. 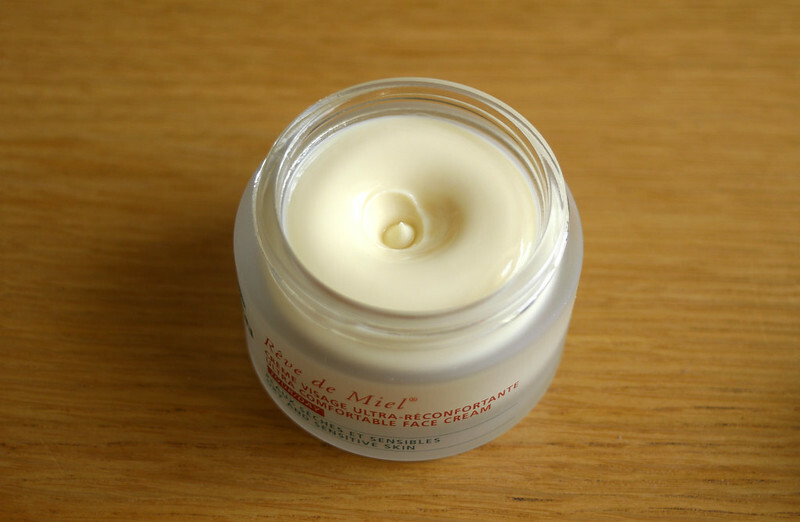 Back in July I wrote a post which included the Rêve de Miel lip balm which I've been using every night since then and the jar still has about a third of the balm left in it. 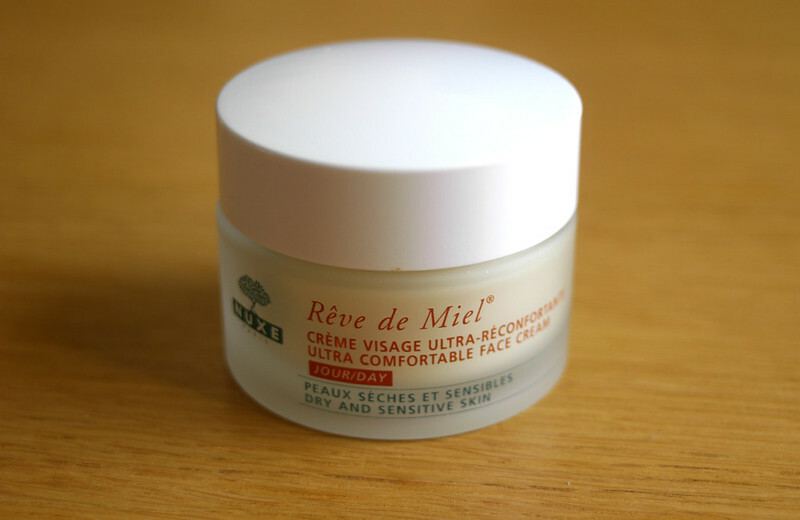 So after the success of the lip balm I wanted to try the Rêve de Miel Ultra Comfortable Face Cream. I use the Day version of the cream, there is a Night version too, but I don't think I need both as this one is for Dry and Sensitive skin so it feels nourishing enough on my Normal/Combination skin. This is my second jar of this cream in the past year and I really adore it. 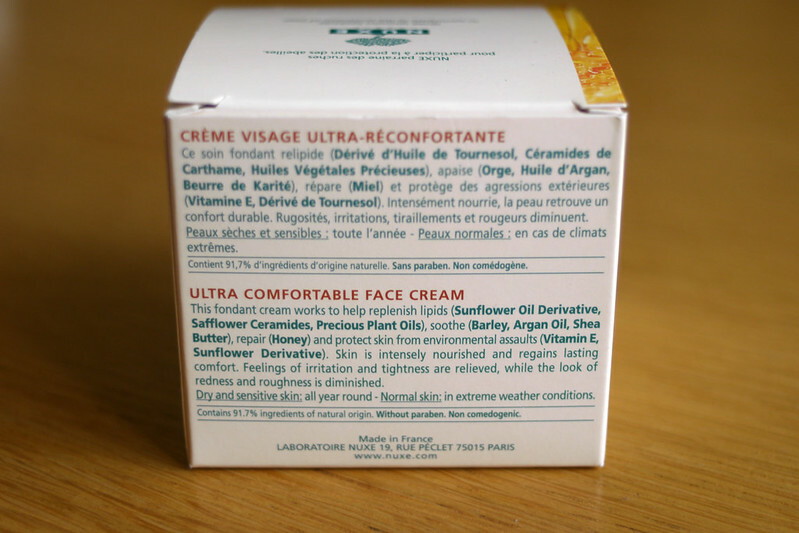 According to the packaging it replenishes lipids with a Sunflower Oil derivative, Safflower Ceramides and Plant Oils, it soothes with Barley, Argan Oil and Shea Butter and it repairs and protects with Honey and Vitamin E.
These natural ingredients are what I really love about this cream and what makes it feel so nourishing on my skin. It has the most incredible natural scent like many of the other NUXE products do although I know some people don't like scented products so if you can try it out first I would recommend doing so to make sure that the scent doesn't bother you. As I said I have Normal/Combination skin but it can also be quite sensitive after my night-time routine so I find this cream to be very comforting and helps with sensitivity and redness. As it's for dry skin and my skin isn't necessarily dry all the time, but can be sometimes, a little of the cream goes a long way. I probably wouldn't get away with it during the day in Summer months, also it doesn't have SPF which for me is essential in my day moisturiser during the warmer months. It comes in a frosted glass jar exactly like the lip balm, I would probably prefer it in a squeezable tube or with a pump as a glass jar isn't exactly the most practical/hygienic packaging, but that is probably the only negative I can say about it. This is most definitely one of the best face moisturisers I have ever tried and I will continue using it until I find something that rivals it. 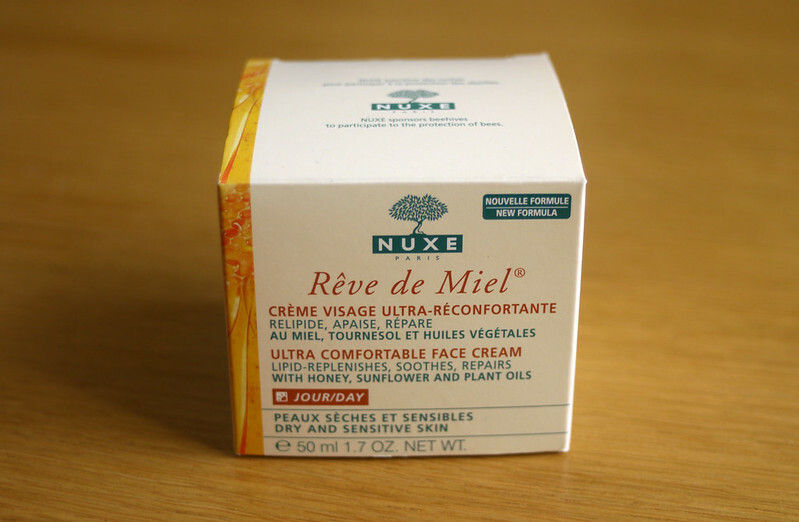 NUXE is currently becoming more widely available in pharmacies in Ireland and the UK. It's also available on feelunique.com. It retails for approximately €27.50 for a 50ml jar. Just stopping by to say hello, dear friend Emma! Your knowledge of skin care is visible in every one of your head shots. Women around the world would consider themselves blessed to have a flawless complexion like yours. Your product reviews have credibility and women would be wise to follow your advice. Have a wonderful week, dear friend! Totally agree Emma, I haven't been disappointed yet!